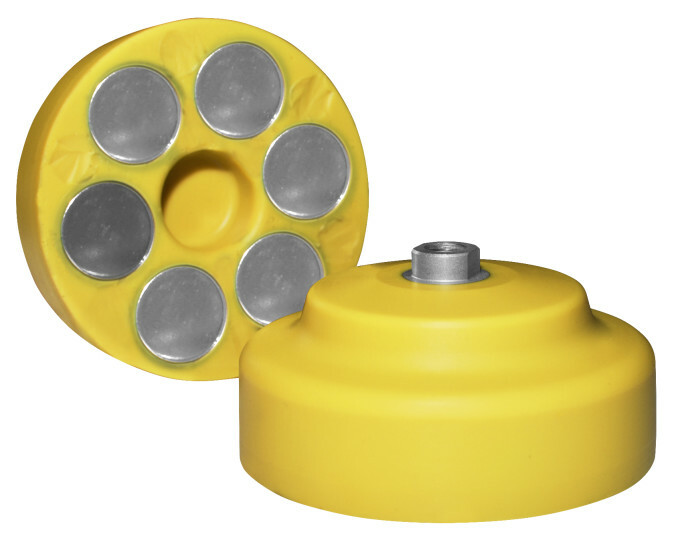 Kystdesign has developed an unique magnet foot for use in a huge range of subsea applications. The magnet foot can be used for attachment of tools or other equipment onto a steel structure to avoid large clamps, suction pads etc. Kystdesign has extensiv experience by use of magnet foots on drilling tools (up to Ø100mm hole in 250mm goods), on grabber plates for ROV and for attachment of motion measurement sensors to a subsea structure. 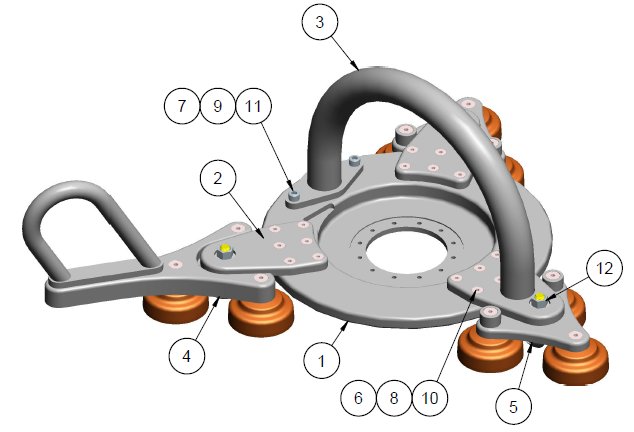 The hold capasity for one foot is above 100kg on a bare steelplate. The tool as shown below contain 9 off magnet foots, i.e. a hold capacity of approximately 1 tonn.